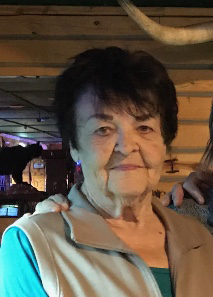 Dawn “Deleen” Wientjes, 80, died peacefully in her home in Belle Fourche on Dec. 9, 2017. Deleen was born in Dickinson, N.D., on Dec. 28, 1936, before moving to Mobridge early in her youth. There she married Cal Wientjes on Nov. 28, 1954. They ranched and farmed. Deleen also owned and operated the Sale Barn Café where she was known for her fantastic pies. In 1979, Deleen and Cal moved to Belle Fourche and purchased the Riverside Trailer Court. They operated that until 1990 when they sold the trailer court and bought the Sunset Motel. At the trailer court, Deleen and Cal toiled at the business relentlessly until they turned it around and made it a very successful operation. They sold the motel and began retirement in 2005. Deleen and Cal enjoyed years of wintering in Arizona in their RV until Cal’s passing in 2005. Since then, Deleen has enjoyed her “retirement” working for her daughter, Toni at the Branding Iron – always a worker! She also enjoyed playing several card games with friends. Bridge, whist and pinochle were her favorites. Deleen was so proud of the beautiful flowers she grew in every color at her house. Deleen is survived by her brother, Derry (Nancy) Jensen; her four children, Teri (Paul) Gremse of Denver, Colo., Randy (Joah) Wientjes of Metropolis, Ill., Toni (Darwin) Moncur and Rhonda (Jimmy) Thybo of Belle Fourche; 11 grandchildren, Calvin Wientjes of Metropolis, Dawn Wientjes of Metropolis, Kristen (Jason) Kracht of Dickinson, Kelly (Dave) Hall of Edmunds, Okla., Kari (Casey) Collins of Ft. Pierre, Kyle Thybo and Jesse Thybo of Belle Fourche; and seven great-grandchildren, Marissa, Aiden and Calvin Kracht, Morgan, Matthew and Emelyn Hall, and Chase Collins. Deleen was preceded in death by her parents, Virgil and Juanita Jensen; husband, Cal; brother, David; and a sister, Doreen. Deleen’s friends are all encouraged to join her family for a Celebration of Life at the Branding Iron Steak House and Social Club in Belle Fourche at 5 p.m., on Wednesday, Dec. 13, 2017.